AcryShield A500 is an excellent coating choice for both base and top coat over SPF roofing. It provides longevity and brightness with superior dirt pick-up resistance and protection against biological attack such as algae. AcryShield A500 exceeds all ASTM D6083 requirements and also offers excellent tensile strength, elongation, and wet adhesion. 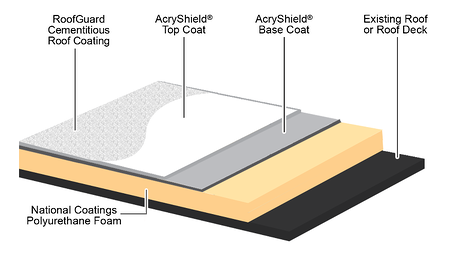 AcryShield A501 base coat is the industry leading, high performance base coat with optimum adhesion to SPF roofing. A501 provides an additional layer of waterproofing, superior adhesion, and resistance to ponded water. SRC 720 and SRC 740 silicone base and top coats deliver ultra low VOC coatings with high solids. These coatings create a one-component, moisture-curing silicone roof coating system that can be applied in excess of 30 mils in a single coat while maintaining maximum adhesion without blistering due to the high solids content and absence of hydrocarbon solvents. Hurricane season is quickly approaching beginning May 15th in the Eastern Pacific and June 1st in the Atlantic lasting through the end of November. 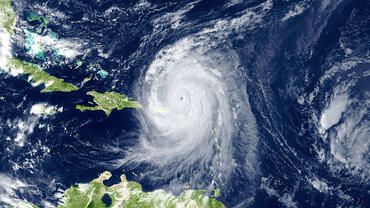 For low sloped, commercial buildings in these regions it is important and necessary to install a roofing system that can withstand extreme wind uplift while providing waterproofing capabilities during hurricane season to guarantee protection and coverage to your building and the assets inside. Spray polyurethane foam roofing systems or SPF roofing systems can do just that! They have excellent waterproofing capabilities and provide wind uplift protection. The SPF roof systems are sustainable and quick to install, as they are spray applied directly over your existing roof, allowing you to restore and renew your roof rather than replace it. The spray application allows a custom slope to be created where necessary to improve and correct any water drainage and ponded water issues. 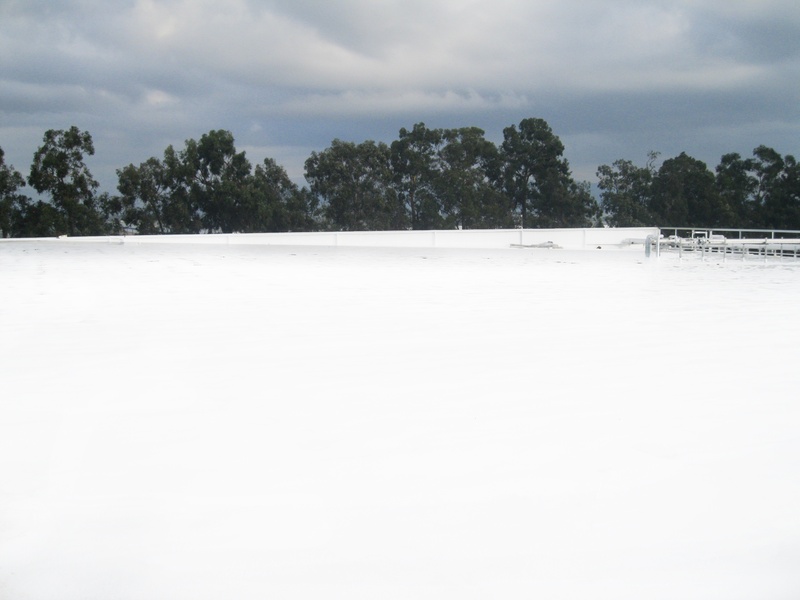 Spraying each layer of the roofing system directly on the roof top also provides a 100% seamless and monolithic roofing system ensuring excellent waterproofing protection across the entire roof and especially in hard to reach and seal areas such as around rooftop equipment, skylights, pipes, drains and other items. Seamless roof membranes are flexible with an even amount of tension across the entire roof field. This is unlike systems with seams (such as single-plies), which experience a lot of tension at the joints and seams causing tears and rips to occur over time – eventually leading to water penetration into the roof deck. SPF roof coating systems are composed of many closed-cells, which provide durable structural integrity to the roof and excellent adhesion to the roof deck and walls it is sprayed onto. These systems have such great adhesion capabilities they have been proven to withstand recent hurricanes such as Katrina and Rita and scored above average scores when tested in hurricane conditions by the National Institute of Standards and Technology (NIST). National Coatings has a large sales force in Texas and the Gulf State Region to provide you with assistance and help with any questions or needs you may have. Contact us to talk to one of our Professional Roofing Representatives in your area today!